The primary greenhouse gas (GHG) sources for agriculture are nitrous oxide (N2O) emissions from cropped and grazed soils, methane (CH4) emissions from ruminant livestock production and rice cultivation, and CH4 and N2O emissions from managed livestock waste. The management of cropped, grazed, and forestland has helped offset GHG emissions by promoting the biological uptake of carbon dioxide (CO2) through the incorporation of carbon into biomass, wood products, and soils, yielding a U.S. net emissions of 5,803 MMT CO2 eq (million metric tonnes of carbon dioxide equivalents). Net emissions equate to total greenhouse gas emissions minus CO2 sequestration in growing forests, wood products, and soils. The report 'U.S. Agriculture and Forestry Greenhouse Gas Inventory: 1990-2013' serves to estimate U.S. GHG emissions for the agricultural sector, to quantify uncertainty in emission estimates, and to estimate the potential of agriculture to mitigate U.S. GHG emissions. This dataset contains tabulated data from the figures and tables presented in Chapter 2, Livestock and Grazed Lands Emissions, of the report. 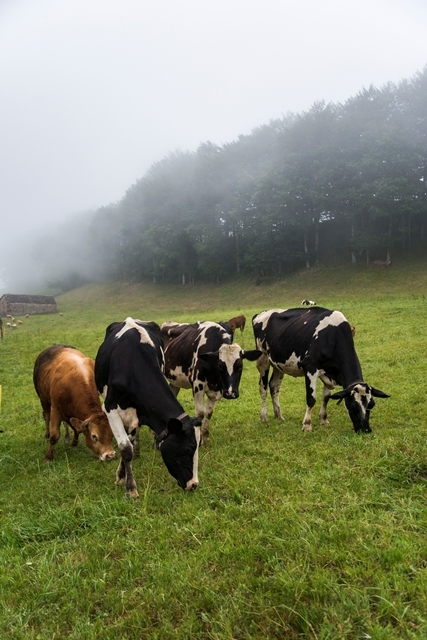 This chapter covers carbon dioxide, methane, and nitrous oxide emissions and removals due to enteric fermentation, animal waste management, and land use for confined and grazed animals. Please refer to the report for full descriptions of and notes on the data. Every year, USDA provides data, analysis, and support to the U.S. Environmental Protection Agency (EPA) for their Inventory of U.S. Greenhouse Gas Emissions and Sinks, an official submission to the United Nations Framework Convention on Climate Change. USDA provides the data and analysis for the land use, land-use change, and forestry and agriculture chapters as well as the agriculture portion of the energy chapter. Emission and sink estimates are reported in aggregate on a national basis. Periodically, USDA utilizes the same data and methods to produce the USDA Agriculture and Forestry Greenhouse Gas Inventory. While the data and methods are consistent, the USDA report is disaggregated in order to show specific trends by land use or by region. Over the next few years, USDA and EPA will be updating key agricultural management practice and technology data. We expect that these new data inputs will significantly refine estimates of soil carbon, methane emissions from manure management systems, and nitrous oxide emissions from fertilizers. Some tabular data are not directly comparable between the USDA and EPA publications because of the report layout and variations in the grouping of source activities. For example, this report includes emissions from energy combusted on the farm; the EPA report addresses energy in a separate chapter and includes farm combustion plus other industrial processes, such as the manufacture of fertilizers that occurs off-farm. (original article) Del Grosso, S.J., S.M. Ogle, M. Reyes-Fox, K.L. Nichols, and E. Marx, 2016. Chapter 2: Livestock and Grazed Lands Emissions. In U.S. Agriculture and Forestry Greenhouse Gas Inventory: 1990–2013, Technical Bulletin No. 1943, United States Department of Agriculture, Office of the Chief Economist, Washington, DC. 137 pp. September 2016. Del Grosso S.J. and M. Baranski, Eds. https://www.usda.gov/oce/climate_change/greenhouse.htm.